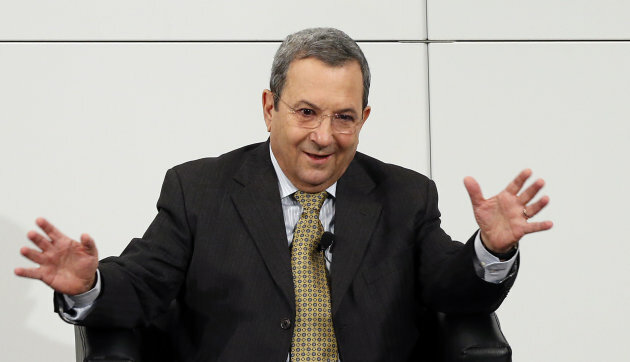 Israel's outgoing Defense Minister Ehud Barak departed for Washington on Monday, ahead of the arrival later this week of a high-level Israeli delegation coming to Washington for consultations, apparently as part of the US-Israel strategic dialogue. Later in the week an Israeli delegation led by Israeli National Security Advisor Yaakov Amidror and including Yitzhak Molho is due to arrive in Washington for consultations with their American counterparts, Haaretz reported. Israeli and American officials did not immediately confirm to the Back Channel if the consultations are part of the semi-annual US-Israel strategic dialogue, co-led by Amidror and US National Security Advisor Tom Donilon. The visits come ahead of planned trips to the region by Secretary of State John Kerry later this month and President Obama’s first presidential trip to Israel next month, and amid a steady tempo of high-level Israeli-American security consultations. Israeli military jets struck an alleged weapons convoy near Syria’s border with Lebanon late last month. The Lebanese Army reported the heavy presence of Israeli jets over its airspace on Wednesday, as sources in the region said Israeli Air Force jets had struck a target, possibly anti-aircraft systems, near Syria's border with Lebanon overnight. Israeli officials would not comment on the reports. “There was definitely a hit in the border area,” an unnamed regional security source told Reuters. “The Israeli air force blew up a convoy which had just crossed the border from Syria into Lebanon,” an unnamed security source told Agence France Press. A source in the region told Al-Monitor the alleged target was anti-aircraft systems, or a convoy of components for such systems, but that could not be confirmed. The Associated Press reported that the target was SA-17 anti-aircraft missile defenses. Syria possesses advanced anti-aircraft defense systems, including the Russian-made SA-17 (and, Israel believes, Russian made S-300 long-range anti-aircraft missiles). Israel would consider it a “game changer” if Hezbollah acquired such advanced systems, that would “change the balance of power” between Israel and Hezbollah, and interfere with Israel's ability to overfly Lebanon and deter Hezbollah, an Israeli security expert told Al-Monitor on condition of anonymity Wednesday. Israeli sources told McClatchy that what was targeted was electronic radar equipment, that targets the GPS system of drones, such as the U.S. unmanned aerial surveillance vehicle that went down over Iran in 2011. “The entire world has said more than once that it takes developments in Syria very seriously, developments which can be in negative directions,” Vice Prime Minister Silvan Shalom told Israel Radio Wednesday. A Hezbollah spokesperson told Lebanon's Daily Star he had no knowledge of the alleged Israeli strike, the paper reported. Regional sources suggested it might be in the interests of the parties involved, including Syria, Hezbollah and Israel, not to acknowledge a strike if one occurred. Earlier Wednesday, a Lebanese army statement said a total of twelve Israeli planes had entered Lebanese air space in three waves overnight, beginning at 4:30 p.m. (9:30 a.m. ET) on Tuesday, and leaving on Wednesday at 7:55 a.m (12:55 a.m. ET), Reuters reported. Israeli media, circumscribed by military censorship, cited Lebanese and other foreign media reports on the developments, which came after days of intense and secretive security consultations in Israel and with foreign capitals. IDF intelligence chief Maj. Gen. Aviv Kochavi traveled to Washington for closed-door consultations with American officials Tuesday, Al-Monitor exclusively reportedTuesday. Israeli officials would not comment on the focus of his consultations. Among those Kochavi met at the Pentagon Tuesday was the Chairman of the Joint Chiefs of Staff Gen. Martin Dempsey, defense sources told Al-Monitor. France has proposed revisions to a draft UN Security Council press statement on Syria, as UN/Arab League envoy Lakhdar Brahimi seeks the body’s support for a cease-fire for the Eid Al Adha holiday on October 26. In particular, France is seeking revisions to the text that would single out the Syrian regime for greater responsibility for the violence that has killed an estimated 30,000 people, over the armed opposition to Bashar al-Assad, according to a copy of the proposed revised draft provided to Al-Monitor Tuesday. Former UN Syria envoy Kofi Annan last week faulted great power divisions and western insistence on seeking a UN “Chapter 7” resolution for the breakdown of a fragile accord he hammered out in Geneva in June. Russia, which vields a veto in the body, has opposed a Chapter 7 resolution on Syria, complaining such a measure was used to authorize NATO-led military intervention against Libya’s Moammar Gadhafi. Meantime, some Syria scholars previously on the fence about deeper US entanglement in the conflict have shifted their positions, as spillover from the Syria conflict increasingly threatens to destabilize in particular Lebanon, Jordan, Turkey and Iraq. The French mark-up of the draft UN Security Council press statement on the Syria ceasefire, identified as version 3, below. My colleague Ben Gilbert, Al-Monitor’s news editor, reports from the scene of Friday’s blast in Beirut, that reportedly killed Maj. Gen. Wissam al-Hassan, head of intelligence of Lebanon’s Internal Security Forces, and seven others. A car bomb tore through a predominantly Christian neighborhood of Beirut on Friday, killing at least eight people — including Wissam Hassan, a senior intelligence officer in Lebanon’s National Police Force — and wounding more than 70. A visit to the scene shows that the explosion, which occurred at 2:50pm local time, tore at least one car in half and gutted many others. It ripped balconies from buildings, scattered glass and metal several blocks away from the blast site, and even tore leaves from trees. Bloodied civilians could be seen being dragged from the area as ambulances attempted to evacuate the wounded to nearby hospitals. One small girl, carried away from the rubble, was bleeding heavily from deep gashes on her head and upper arms. “We feared another explosion so we left and went around the back,” Baroudi, 28, added. The bomb attack was the worst of its kind to hit Lebanon for more than four years, when a wave of political assassinations killed dozens of civilians and several officials between 2004 and 2007. The explosion occurred just off Beirut’s Sassine Square, a major traffic junction in the capital’s eastern Ashrafieh district lined with several shops, cafes and restaurants. Nour Kassab, a ninth-grade student living on the street where the bomb exploded, was visiting her cousin in a nearby restaurant when the blast hit. The reported target of Friday’s blast, Lebanese police intelligence chief Wissam al-Hassan, was a close ally of former Lebanese Prime Minister Saad Hariri and a foe of Syrian president Bashar al-Assad. Saad Hariri on Friday accused Assad of the killing. At a watch repair shop around the corner from where the bomb went off, owner Jimmy, who didn’t want to give his last name, swept the glass shards of what was once the store’s glass façade into the sidewalk. Syria’s Deputy Prime Minister and Foreign Minister Walid al-Moallem will lead the country’s delegation traveling to New York next week for events surrounding the opening session of the United Nations General Assembly. Moallem is expected to arrive in New York around September 24, diplomatic sources told Al-Monitor. His visit comes as the international community remains divided over how to contain the civil war that has engulfed the country over the past 18 months, killing over 20,000 people and spurring a refugee exodus to Turkey, Iraq, Jordan, and Lebanon. Western countries remain reluctant to intervene in the conflict, and the prospect looms of a protracted civil war, that could potentially destabilize Syria’s neighbors. On Wednesday, Iranian Foreign Mnister Ali Akbar Salehi arrived in Damascus for talks with Moallem and Syrian President Bashar al-Assad about how to resolve the conflict. Salehi’s Damascus trip followed consultations in Cairo the past two days on the Syrian crisis, involving Turkey, Egypt, Iran and the new UN/Arab League Syria envoy Lakhdar Brahimi. Salehi will also travel to New York next week as part of the Iranian delegation attending the UNGA activities. Jeff Feltman, the UN Under Secretary for Political Affairs who until May served as a top US diplomat, on Wednesday became the most senior current or former American official known to meet with Iran’s Supreme Leader Ayatollah Ali Khamenei in decades. Feltman, the former Assistant Secretary of State for Near Eastern Affairs, met with Iran’s Supreme Leader as part of the entourage accompanying UN Secretary General Ban Ki-Moon for meetings in Tehran. Ban traveled to Iran against the wishes of the US and Israel to attend the non-aligned movement summit. American officials downplayed the rare meeting between even an ex-US official and Iran’s vehemently anti-American Supreme Leader, pointing out that Feltman doesn’t work for the US government anymore. Feltman “is doin’ his new job,” State Department spokeswoman Victoria Nuland told Al-Monitor Wednesday when asked about the meeting. “Not sure that it means much in reality,” former senior Obama White House Iran strategist Dennis Ross told Al-Monitor by email Wednesday. But former American diplomat Jim Dobbins told Al-Monitor that Feltman likely would have given the US government at least a courtesy ‘heads up’ about his trip, even if he would not take guidance from them. The meeting “is interesting,” Dobbins, now at the Rand Corporation, said. And another former senior US official who asked not to be named acknowledged she was “shocked” to learn of the meeting, mostly because the Obama administration had publicly pressed Ban to forgo the trip. Feltman, who served as ambassador to Lebanon during the 2006 war, is thought to be fairly hardline on Iran. President Barack Obama said Monday that his “red line” for direct military intervention in the widening Syria conflict would be the use of chemical or biological weapons. Obama said the United States is increasing humanitarian aid to help Syria’s exploding refugee population, as well as political and financial support to the Syrian opposition, in consultation with other countries. But he had not “at this point” ordered U.S. military engagement in the conflict. “We are monitoring the situation very carefully, and have put together a range of contiengency plans and communicated in no uncertain terms with every player in the region that is a red line for us,” Obama said. He spoke as a US delegation is headed to Turkey for consultations on the widening crisis, amid growing US concerns about spill over from the Syrian conflict potentially destabilizing other countries in the region, including Lebanon and Iraq..
As Al Monitor previously reported, acting Assistant Secretary of State for Near East Affairs Beth Jones is headed to Turkey this week to confer on Syria. Acting Assistant Secretary of State for Near East Affairs Beth Jones will travel to Turkey next week for consultations on Syria. The United States is becoming increasingly concerned about potential spillover from the Syrian conflict in Lebanon, Iraq, etc. Secretary of State Hillary Clinton added a stop to Turkey last minute to her trip this past month to Africa to consult on the Syria crisis. Jones traveled to Turkey to meet here there. A State Department official told Al Monitor Friday that the US government is currently “seized” with the Syria conflict, even more so than on Iran, and speculation over the potential for Israeli action against Iran this fall.